The people’s flag is Campari red, it shrouded oft our martyred dead—what mass agitation for Campari Week might look like. Credit: Wikimedia Commons. They appropriate everything I’ve ever loved. Credit: Wikimedia Commons. This is the third annual Negroni Week. 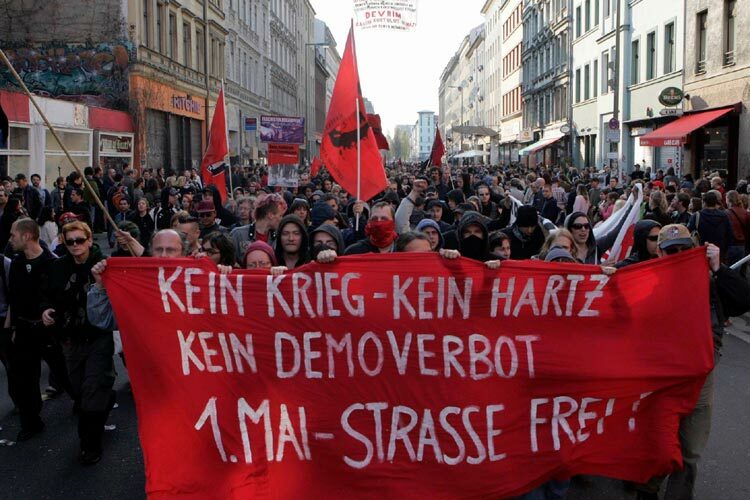 From 1–7 June, that is. I suppose it’s possible that it began in Gruppo Campari’s marketing department, rather than as a popular clamour in the pubs, bars, fields, taverns and mean streets of the world, but for Campari, I don’t mind. Partly because I love the stuff—you can read my piece on that here—and partly because for years few others I knew liked it; they groaned, mocked, doubted and feared, even if many of them know better now. I always had a sense of Campari being friendless, beleaguered, unloved, neglected, and that lingers. It was always preposterous, given its mighty popularity in parts of the world, and is now much more so as the artisans and hipsters have taken it up. Anyhow, here’s to the noble Negroni, one of the best and strongest of cocktails, and a prime way to drink Campari. Gin, sweet dark vermouth and Campari served in an old fashioned/rocks glass. Possibly with ice and an orange twist. Perhaps invented by Count Negroni. This is how they usually tell it. 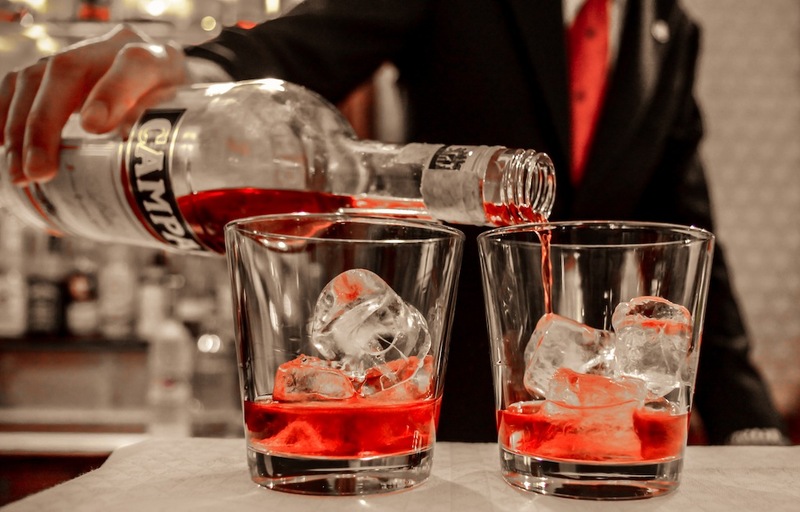 In the 19th century the Milano–Torino (Milan/Turin) was a popular mixed drink in Italy; it was made up of Campari (from Milan), sweet vermouth (from Turin) and soda. After the First World War it became popular with the many visiting Americans and was renamed the Americano. 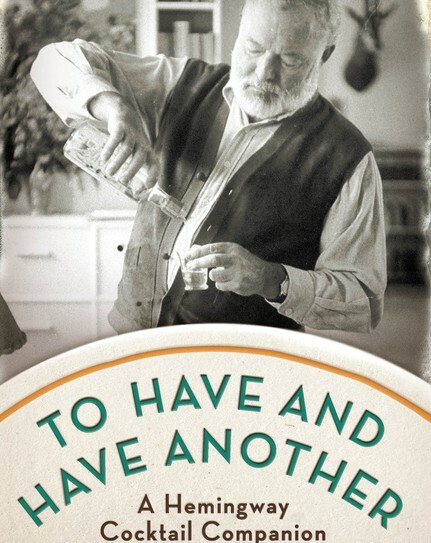 In his Hemingway cocktail companion, Philip Greene speculates that Americans had developed a liking for Campari during Prohibition; it was classified as a medicinal product by the US government and was available by doctor’s prescription—Campari’s flavour does carry a suggestion of the apothecary, after all. Count Camillo Negroni found the Americano a little tame and asked Fosco Scarselli, a bartender at the Caffe Giacosa in Florence (still open), to swap the soda for gin. Other drinkers started to ask for the Count Negroni … and so it went on. This may or may not be true, but it’ll do for me. There is a good reason why the Negroni is known as the bartender’s cocktail; like a drunken argument, it’s full of fighting contrasts and ends in a harmonious love-in. The sweet Italian vermouth battles the bitter orange, reaching a perfect compromise, both losing their edges without losing their character, while the gin cuts through the two like a friendly onlooker making peace by force. Campari, of course, fights itself. I’ve been using Tanqueray, Casa Mariol and … Campari. The Negroni requires balance, but it’s not the balance of strong flavours being tempered by milder ones, it’s a balance of big flavours smashing into each other and reaching a sort of exciting peace. This means that a good, robust, orthodox London dry gin is generally called for. I usually go for Tanqueray or Beefeater, good gins both, and neither is shy. The more diffident notes of floral gins like Hendrick’s can be brushed aside by the Campari and vermouth. At the moment, I’m working through a bottle of Tanqueray. Some recommend stronger gins, and that’s something I can live with. Andy Hamilton plumps for the power and complexity of Blackwoods Vintage Dry Gin (special edition, 60% by volume), while Michael Dietsch suggests Perry’s Tot Navy Strength (57%). Vermouth zealots like to point out that it’s a fortified wine, not a spirit, so it doesn’t keep indefinitely and should be refrigerated and consumed briskly after opening. This is true, and the flavour does become thinner, diminished, with time after opening, but few of us drink enough of it to be finished after a few days; keeping it longer won’t ruin your Negronis, not quite. 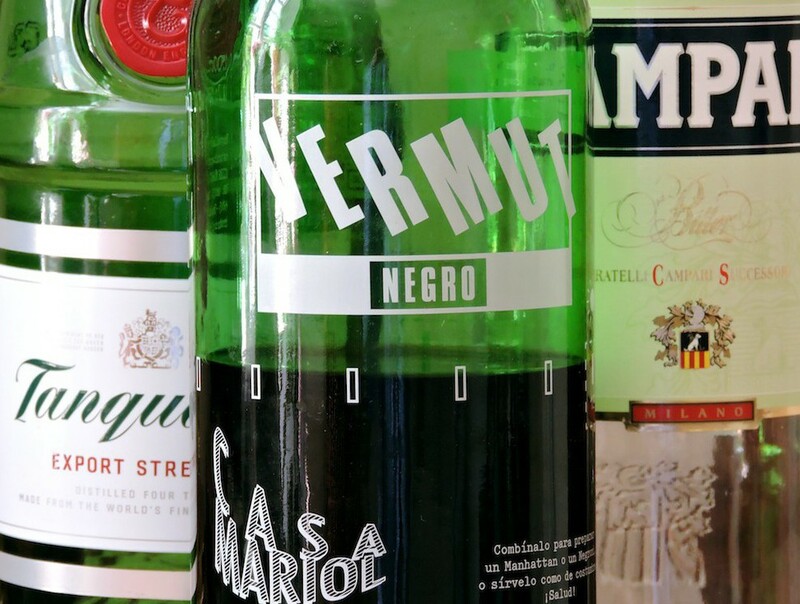 Most vermouths are around 20% by volume. Campari is Campari; there’s no alternative. It’s an alcoholic liqueur, a brand of aperitivo bitters. It’s powerfully bitter, inimitable and >20% by volume. Read about it here. I tend to follow the traditional equal parts formula, although I will sometimes add more gin (see below). My technique is simple: add the three ingredients to a good, heavy old fashioned/rocks glass (by preference; I sometimes use a stemmed cocktail glass and it doesn’t seem to hurt—the old Savoy Cocktail Book uses one) with one large or a couple of decent-sized ice cubes (small ones melt too quickly and store bought ice is the devil’s work, flighty and fast-melting); stir for around thirty seconds; add a bit of orange peel. You can make a twist from the peel, but it’s ticklish and I’m lazy and inept. The peel does add something, it’s not just for show. I tend to favour leaving the ice in as I like the way it slowly softens the Negroni. Michael Jackson (this one), whose laconic, authoritative pocket bar book was my first booze guide, suggests two parts gin, one part vermouth and one part Campari. Which is a heady blend, but a good one, though I wouldn’t use overproof gin for it. He also says to use an orange slice, which again is agreeable enough, if not so rich in the oils you get from the peel. Finally, he recommends a ballon wine glass. This is a really fine invention. It has the power, rare with drinks and indeed anything else, of cheering you up. This may be down to the Campari, said by its fans to have great restorative power. Which brings us on to drinking the thing. Crostini. 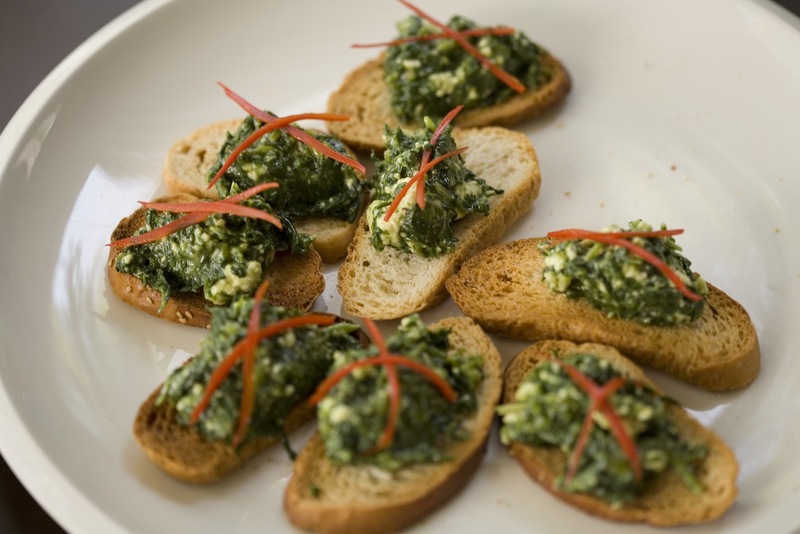 These are topped with spinach, which would either match the bitterness of the Negroni or make it unbearable. I’d give ’em a go. Credit: Wikimedia Commons. The Negroni is intended to be an aperitif, but it can also make a good sunny afternoon or late night drink. Although it seems like it might be over-strong, being treble-shotted undiluted booze, its pungency means that you’re unlikely to throw it down, so it may even slow your intake. Nevertheless, it’s no bad thing to eat some food at the same time, and salty bits and pieces food goes well with a Negroni. In Italy they’re often served with crostini (wee bits of toasted bread with topping), olives, nuts and crisps (potato chips, my Yanqui friends). Fiona Beckett suggests canapés topped with smoked duck or crostini with duck pate, which sounds the ticket; smoked slightly gamey fattiness would be set off the alcoholic bittersweetness nicely and fortify the stomach. Fooling with the beautiful simplicity of the Negroni seems redundant, and for the most part I’d be shy of it, but there are some interesting derivations. Here are two: the Boodles gin Salted Negroni (a sort of Americano hybrid, with soda—and grapefruit juice) and Eeyore’s Requiem from The Violet Hour bar in Chicago (extravagantly bitter and exotic). 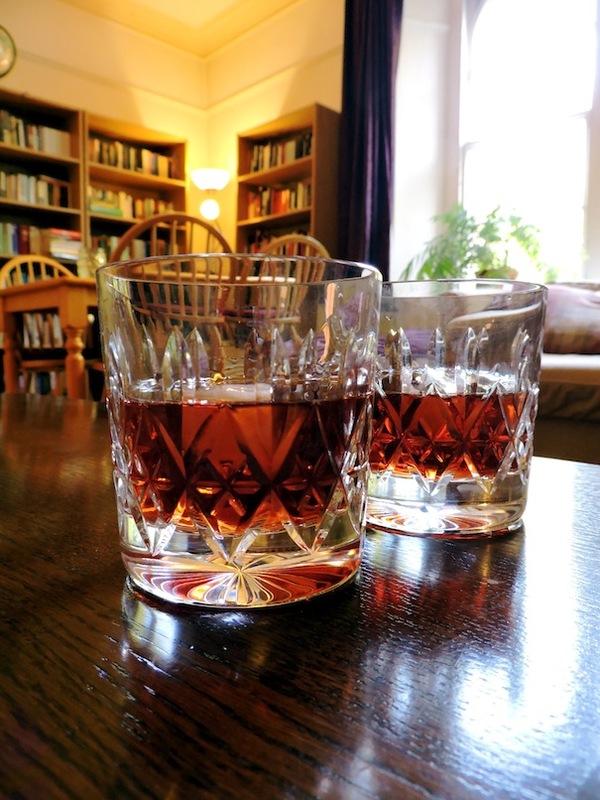 There’s also the more traditional Negroni Sbagliato (the ‘bungled Negroni’; it’s said that a barman invented it accidentally by reaching for the wrong bottle), with one part Campari, one part sweet vermouth and one or two parts sparkling wine. It doesn’t have the grandeur of the original, but it’s good and refreshing. Header: Wikimedia Commons. CC BY-SA 2.0. 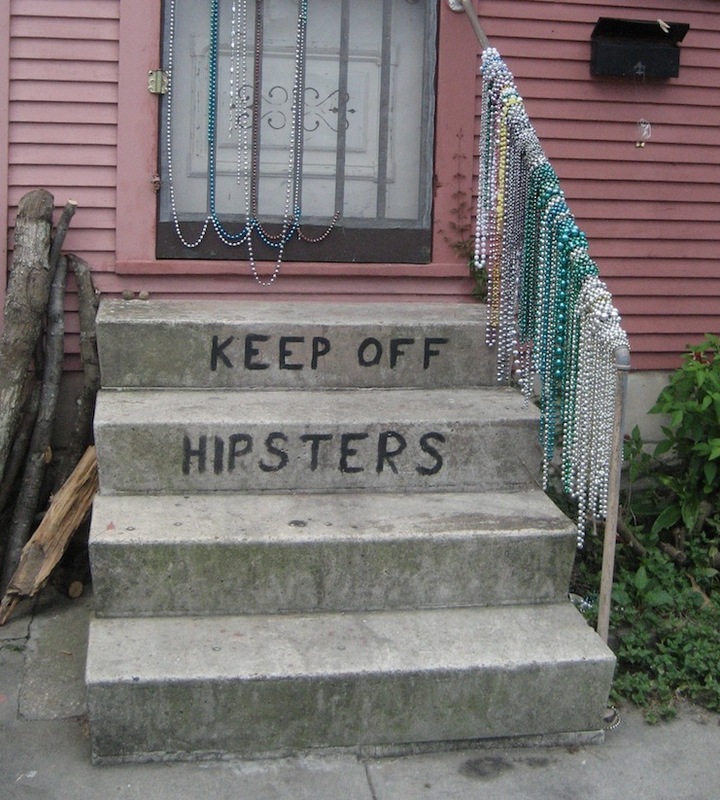 Keep off hipsters: Infrogmation (Wikimedia Commons). GNU Free Documentation License 1.2. Two Camparis at the Florian, Venice. ‘franzconde’ (Wikimedia Commons). CC BY-SA 2.0. Crostini: Charles Haynes (Wikimedia Commons). CC BY-SA 2.0.